to the people that help your business thrive. Client and referral gifts on the back burner? We start by understanding your budget, timeline and intended audience to tailor the perfect gift set to your needs. From 12 to 500+ gifts, we work with companies big and small to help them stand out from the boring cellophane gift baskets while celebrating the local artist community. 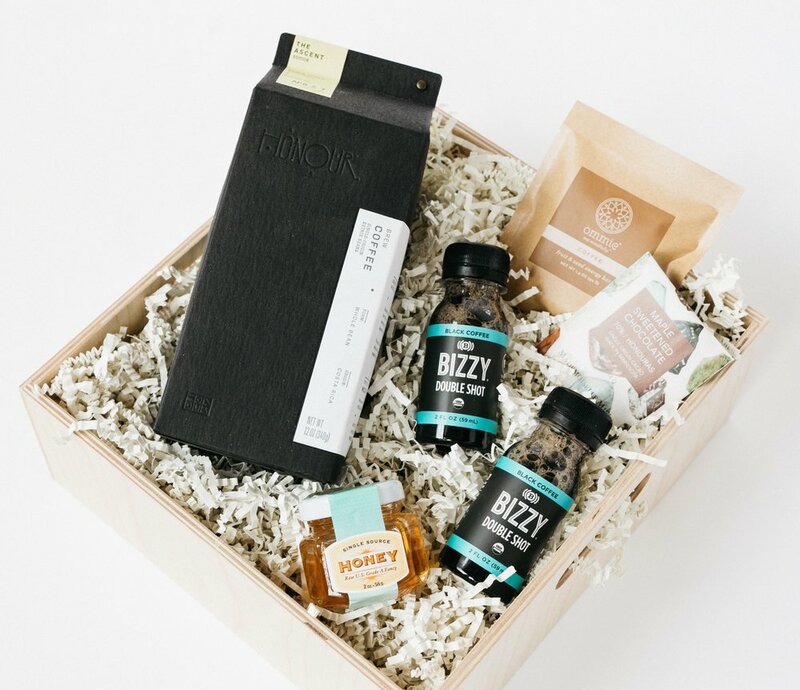 Hosting an event and need the perfect welcome gift? We specialize in gifting for large scale projects and events. If you are interested in a more experiential way to gift and wow guests, we have created 'Build Your Own Set' pop-up events. We come to your business and turn your board room or event space into a unique shopping experience. specifically to impress and delight your clients. Download our Corporate Gifting Catalog HERE. These boxes were amazing! We sent these boxes to our clients all over the world, and were told countless times how much they loved them! The team was a delight to work with and helped us create a truly personalized and branded box, representing our company in the best light. What an amazing and unique way to stand out among the many end of year gifts received. Thank you, M+P team! Tell us about your gifting needs! Do you have a theme in mind? Who are these gifts for? Are you gifting to a team or an individual? Do you need these sets by a specific date? Thank you! We will be in touch shortly to discuss your box!